If you want to crochet anything into a fabric, you have to learn the single crochet. 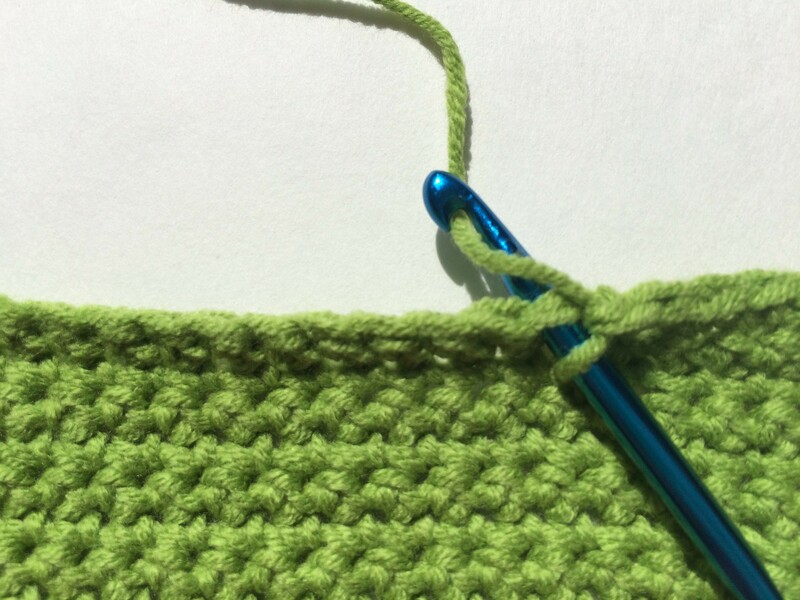 A single crochet stitch, or sc in most patterns, is the foundation for creating beautiful garments, and if you can master this stitch you can master almost any stitch. Once again, like the chain stitch, you just need to get your hands used to the motion, and the rhythm of the stitch. 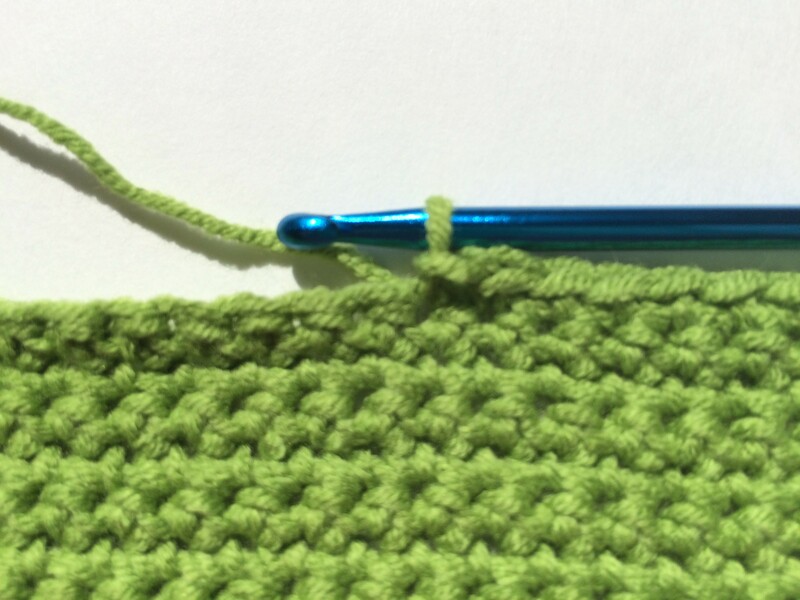 As an experienced crocheter, this is a simple stitch but can be used in so many ways it is a necessity to learn. So let’s get down to the nitty gritty. After practicing the chain stitch in the previous weeks, we should be set. I will start my first steps from a complete chain stitch. Step 1: Insert the hook into the second chain stitch from the hook. Wrap the yarn once over the hook and pull the loop through the stitch, you now have two loops on the hook. Wrap the yarn once around the hook, also can be called “yarn over”, and pull it through the two loops. First single crochet made. Follow Step 1 in each chain stitch until the end making sure your chain does not twist. This takes patience and practice, so go at an easy pace for you. When you reach the end of the chain, turn your work so that you are crocheting in the same direction (for example, I am right handed, so I crochet from right to left). There are several ways to turn to the next row. Step 2 will explain the turn that I feel is easiest to keep rows straight and edges nice. 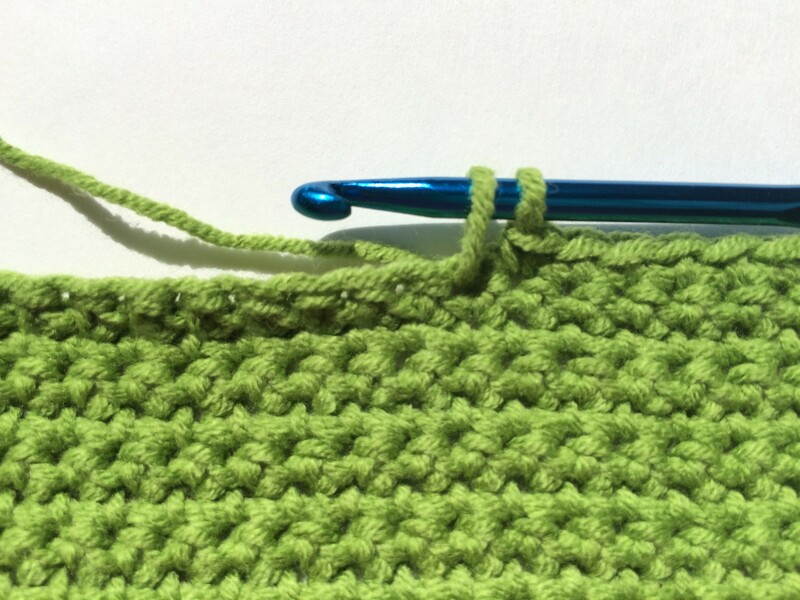 Step 2: You are now starting your stitch into a single crochet stitch. Chain 1, then insert your hook into the two loops (looks like a “V”) on top of first single crochet. Wrap the yarn once around the hook, and pull it through the two loops. You have two loops on the hook, wrap the yarn once around the hook and pull it through the two loops. Your stitch is made. Keep repeating steps 1 and 2 till you feel comfortable with the stitch and the fabric you have now made. Thanks for trying something new. Have a great day and happy crafting! Previous Previous post: Festival Season in Milwaukee, a Reason to Crochet!